Our story begins in 1985 with a vision to share undiscovered wonders of the Middle East with the rest of the world. Thirty years later, we are an international team of 50 professionals based in Dubai, Oman and Jordan. Every year we provide customized travel tours to more than 600 travel and event agencies - some of whom have worked with us from the very beginning. Our dynamic team offers guidance and tailored solutions to meet every prospect of your individual client. All customer services are offered in fluent English, German, French, Italian and Spanish. Meet us at our offices in Paris, Brussels, Madrid and Milan. We believe travelling is a way of life, and every life is different. Our services are therefore scalable to match any group size and travel style you need for your client. Our regular departures provide the spontaneity needed so your client can hit the road whenever the need for adventure arises. 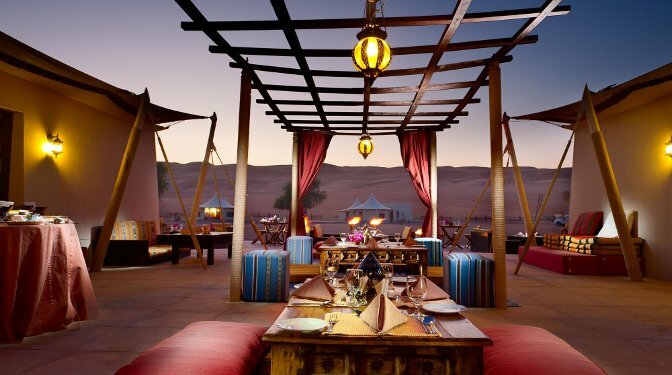 Flexibility is our trademark, so whether it’s a romantic dinner for two in the desert of Oman, a private tour off the beaten tracks in Jordan or meeting a local community in the UAE, we pride ourselves in paying equal attention to detail and ensuring comfort from beginning to end. We value quality over quantity, especially when it comes to our suppliers. Our strong and loyal relationships to all suppliers and hotels are the single reason why we can guarantee high quality excursions, accommodation, culinary experiences, all topped off with the authentic and forthcoming Arabic hospitality.